In late 19th century New York, innovation is in the air. Edith Cushing (Mia Wasikowska) has just finished writing her novel (a ghost story) and, in celebration, her industrialist father gives her a beautiful fountain pen. Edith admires the pen but announces that she will, instead, use a typewriter in the future. While being independent of mind and spirit, Edith still finds herself bewitched by a handsome but old fashioned man from England. Sir Thomas Sharpe (Tom Hiddleston) has come to New York in the hope of securing Mr Cushing's investment for his own invention - a steam powered evacuator. Mr Cushing dismisses his proposal and becomes deeply suspicious of Sharpe - particularly with regards his intentions towards Edith. However, a tragic death sees Edith and Sharpe married and Edith being carried over the threshold of the sumptuous yet monstrous Allendale Hall in England. This decaying building is to be her new home - a home with terrible secrets and where nothing is as it first seems. A home that she must also share with her sinister sister-in-law, Lucille (Jessica Chastain). Never Miss A Review! Click Here For A Free Weekly Newsletter! I have been looking forward to Crimson Peak for a long time. So long, in fact, that I was anxious that the film itself could never live up to my expectations. I needn’t have worried. I loved every minute of Crimson Peak. This is a stunning film that draws you in through its wonderful gothic atmosphere and gorgeous visual detail. Nothing has been left to chance. Everything has been carefully researched, designed and expertly executed. The story is familiar one with references (of course) to Jane Eyre and Rebecca among other classic gothic tales. There are no twists and turns, just Edith’s slow recognition that all is not right with her new home, husband and sister-in-law. The film’s three central performances are superb. However, Jessica Chastain stands out for me. She exudes the perfect mix of emotional damage and horrific threat. Crimson Peak's most interesting character is, of course, Allendale Hall. This is an amazing building - the haunted house by which all future haunted houses shall be judged. Allendale Hall has the look of fairy tale with autumn leaves and then snowflakes magically drifting down through a hole in its ceiling. Placing Allendale Hall on Crimson Peak - a hill of red clay into which the house is slowly sinking - is an example of the visual genius that we have come to expect from director Guillermo del Toro. When snow falls, this clay seeps through like blood and just looks so creepily and horrifically effective. I had such a wonderful time watching Crimson Peak. It is a beautiful, substantial film - I could feel the care and devotion that had gone into every set, every scene and every costume. However, I do have some concerns. I am worried that this film has been mis-marketed as a horror movie and that people may go to see it for shocks and scares. 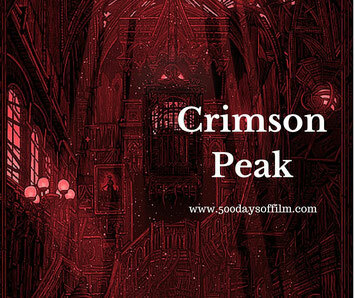 I am anxious that, with this expectation and frame of mind, people may feel disappointed with Crimson Peak. 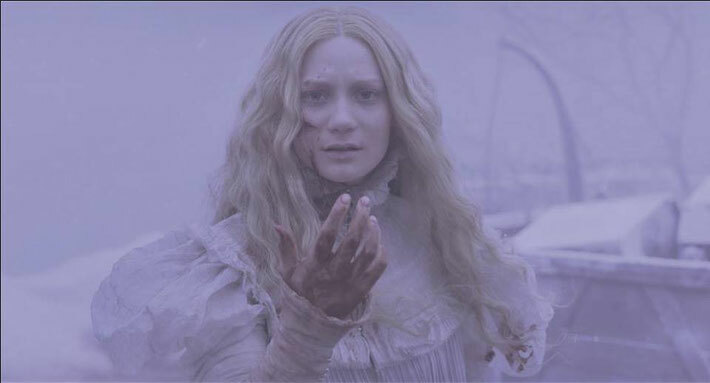 While there are several scary parts and scenes of quite brutal violence, Crimson Peak is not a horror film. Indeed, del Toro has stated that this is not even a ghost story - it is a gothic romance that includes ghosts. And, with that context in mind, this film can be seen for the masterpiece that it undoubtedly is. Have you seen Crimson Peak? What did you think? Has this film been mis-marketed do you think? Did you feel disappointed that this wasn't more of a horror film? Or did you, like me, love every wonderful nightmarish minute? Let me know in the comments section below! I was somewhat critical of the movie but in retrospect I blame the way it was marketed. I wanted a good scare but it never really delivered. I think that you are right - it was marketed as a horror (what was with that Stephen King quote btw?) and I am wondering if this is why it has left people so disappointed. I stand by Crimson Peak - I loved every minute!